Hello there! I’m so excited to bring you another round of What’s Cookin’ today with three tasty recipes. If you’re new to What’s Cookin’, it’s a round-up of some recipes I’ve recently made and loved with very few, if any, changes to the original. I hope you enjoy them as much as I have! I am a sucker for lemony things. I just love the bright, tangy flavor. 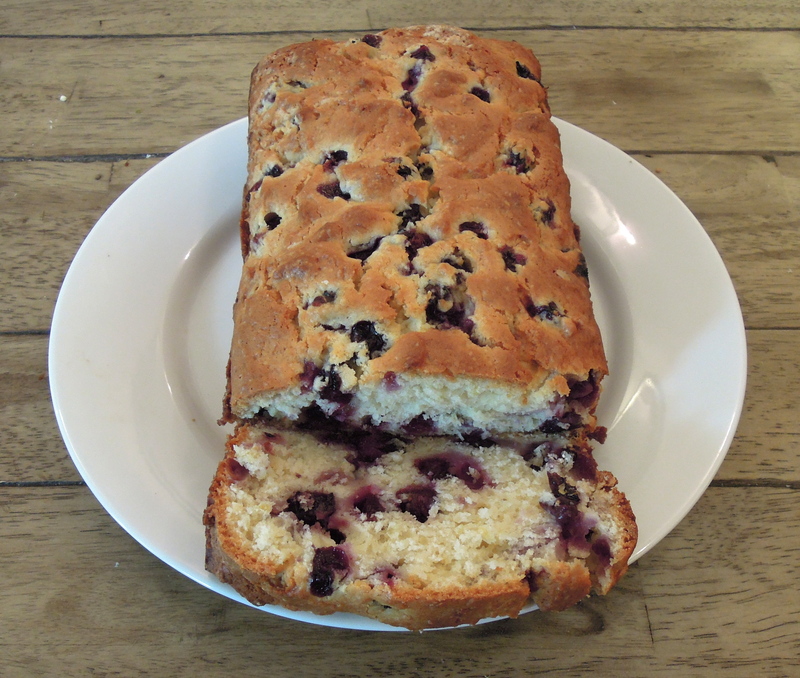 So when I saw this recipe I knew it was only a matter of time before it happened in my kitchen (now that blueberries are easy to find). Happily, that time arrived this weekend and it was just as good as I had hoped it would be. I increased the zest to 3 tsp rather than the recommended 2 tsp. I highly recommend doing the same, but if you’re making this for someone who’s not as crazy about citrus 1 or 2 tsp will do. It tastes like a giant muffin and the center stays super soft. Add a smear of room temperature butter and all is right in the world. 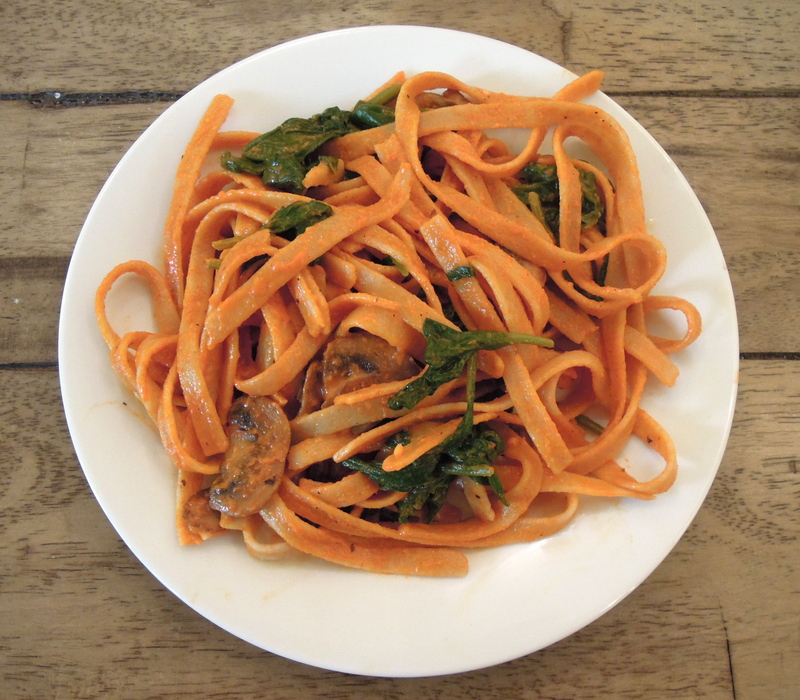 Weeknight pasta dishes don’t get much easier than this: Boil some whole wheat fettuccine; saute mushrooms and spinach; blend jarred roasted red peppers and garlic. Combine everything together and dinner is served. The sauce develops a creaminess–at times it even reminded me of vodka sauce–yet there’s not a single drop of cream (or any dairy for that matter) in the whole thing. I also love the fact that you make the sauce yourself so you can totally control the amount of sodium that you put in. It’s a vegetarian recipe, but you could easily add some sauteed chicken breast to up the protein content. I have a saying in life: If it’s good enjoy for Gwyneth it’s good enough for me. Okay, maybe that’s not entirely true, but I pretty much knew this recipe–from Gwyneth’s new cookbook It’s All Good–would be a winner before I even made it. We eat salmon nearly every Monday night and I’m so happy to have another option in the mix that we love so much. Another reason this dish rocks: It only has five ingredients (six if you count cilantro) and half of them–maple syrup, sriracha, and sea salt–you may already have in your home. 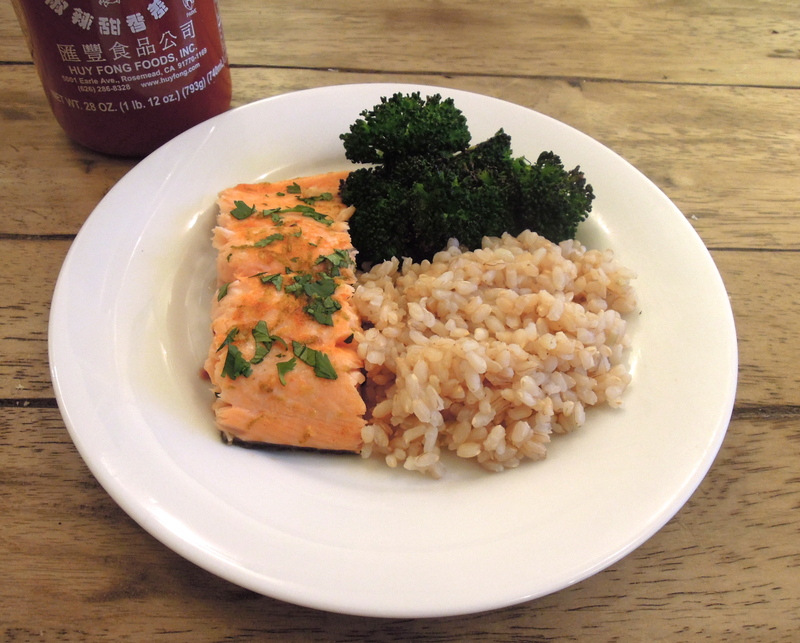 I served it with some brown rice and broccoli for a deliciously easy meal. This entry was posted in What's Cookin'? on May 21, 2013 by Paige Greenfield.